Rating: When I started this review, it was 'liked a good deal, maybe loved', but upon finishing, I have to say, it is totally loved. Likely top ten of 2012. Did I finish? : I couldn't stop. One-sentence summary: Joe, a twelve-year old Ojibwe boy in North Dakota, becomes obsessed with finding his mother's assailant and learns more about his fractured community, family, and tribe. Do I like the cover? : I do -- I find it hypnotically striking, and the colors are appealing, and the broken pieces suggest the crime breaks up a family as well as the titular Round House. First line: Small trees had attacked my parents' house at the foundation. Buy, Borrow, or Avoid? : Ohmygod, borrow or buy. Dark, pretty, sad, horrifying, poignant. I think Scandinavian crime fic fans might like this one -- it felt v similar in some ways -- as well as those fascinated by life for American Indians. Why did I get this book? 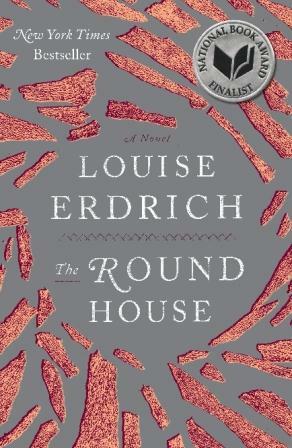 : I've long been an Erdrich fan and I jumped at the chance to read this one! Review: I'm not sure how to write this review. This is a book in that made me forget I was reading and I resented every interruption or pause. I missed my subway stop while reading and stayed up too late to finish. It was worth it. Set in the 1980s, the story is told by Antone Bazil Coutts (the second), nicknamed Joe, who is twelve when his mother suffers a terrible assault. Raped and nearly burned alive, she retreats into sickly solitude while her husband, a tribal judge, struggles to ascertain where the crime took place. Depending on whether it occurred on Indian land, off reservation, or on fee land determines which police pursue the crime -- and shapes the likelihood of justice for Geraldine Coutts. Joe is obsessed with solving the mystery and finding his mother's assailant, and in the process of digging around, learns more about his family, his tribe and community, and adult life. 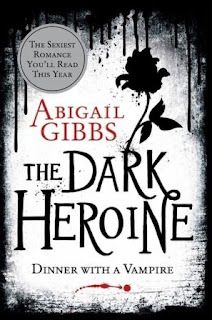 In some ways, this is a literary thriller, a poetic sort of crime novel (I'm recommending it to my Scandinavian crime fic loving friend, for I feel like there are thematic similarities) but even those who aren't drawn to crime fic might want to give this one a read. There's armchair escape -- Ojibwe reservation in North Dakota -- and lovely writing about coming-of-age against the backdrop of real lost innocence. 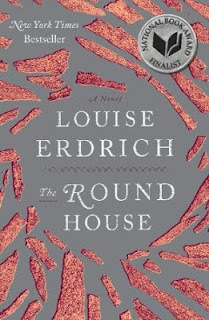 For me, it also provoked a kind of nostalgia -- I spent some of my formative years in South Dakota near a reservation and saw first hand the uneasy tension between those neighboring communities -- and Erdrich's writing evoked that time and place so well I got goosebumps. I suspect this will make my favorite list for 2012. 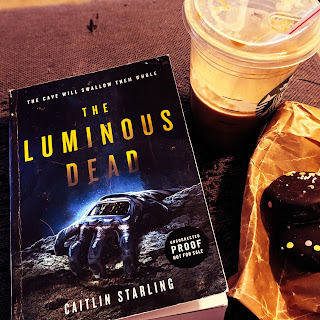 It read fast for me even though it is both a thoughtful and plot-y novel; familiar and alien in equal part, the characters and locale immediately captured my attention and imagination. Not a book I will quickly forget. I'm thrilled to offer a copy of The Round House to one lucky reader! To enter, fill out this brief form. Open to US/CA readers, ends 11/9. I keep wanting to rewrite this review to add more gushing, but then I just keep using vowels and exclamation points which I know aren't actually helpful. Really quite a stunning book. Quiet and yet, explosive! Oh, I love books that are so engrossing I don't want to be interrupted. This sounds marvelous! This is the kind of book that makes me childish joyous I can read -- it was wonderful. Yep, sounds like one I need to add to my list! As I announced on twitter, it was 'uh-may-zing'. Seriously. It had better win some awards! I skimmed as I will be starting this one this week. Your review makes me want to crack it open right now! From the first paragraph, I was hooked! Sounds fantastic - and intense. It must be if you missed your subway stop! Thanks for the great recommendation. 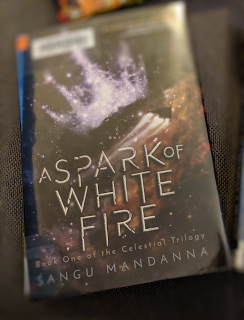 It was intense but not agonizingly so -- I was really just captivated -- the writing was effortless and pretty but not, like, obtuse or obscure -- the setting visceral -- the characters so human -- gah, I want to reread it already! I'm so excited for this one! I'll be reading The Plague of Doves this weekend and then diving in. I'm looking forward to this one even more now! I'm looking forward to your thoughts -- you've made me put The Plague of Doves into my TBR for this month -- this book just blew my mind! I read Shadow Tag and had complex feelings for it. I want to read this one as well, and compare the two. Erdrich certainly has a way with characters and plot, and her take on humanity is very interesting. Wonderful review today, Audra. I can't wait to read this one. This makes me want to go back and read all her books -- I read a few while in college and I think it would be quite fascinating/revelatory to see them now. I really loved that mix of literary loveliness with gritty crime, the sense of place -- gah, I could wax on and on. so desperate to read this! It sounds great! It is worth the desperation! It had better snag some awards. Sounds very good, and I like that you could bring personal experience to your review, it made it all the more interesting. Intrigued by the proceeding set-up, who gets the job of solving it etc. I was worried that my attachment to the Dakotas would make my reading experience too personal -- and really, every book reading is a personal experience -- but I think there is a universal appeal even without having been to the Dakotas. 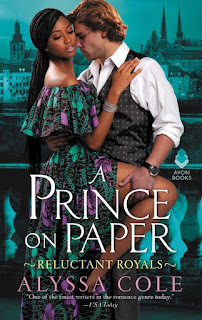 Great review - you really make me want to read it! I'm glad it isn't as grim as its premise suggests, and Joe sounds like such a great character. It's sad but not miserable, and yet, miserable without being soul crushing -- such wonderful mood and sense of place. The blurb for this didn't interest me AT ALL, but now I desperately want to read this. I'm not familiar with Erdrich at all, but I am all about books where you forget you're reading because you're so zoomed into the character. Also, Joe's obsessed with Star Trek. Holla for nerdy references! Christina, if I could bear to part with my copy (and if it weren't already grabbed outta my hands by my wife), I'd foist it on you -- this is a great book about a teenager that isn't YA but really has such a marvelous articulation of YA life. I loved Joe's obsessions -- they felt so right! -- and he was really adorable/heartbreaking. I strongly urge this on you -- it could almost be literary / YA crossover. Awesome! Well, I'm really focused on review books right now anyway, so, even if you sent me your copy, it would take me a while to get to. I'm trying to come up with a reading system whereby I get to do some back list reading as well. Wish me luck with that! Great review. So interesting how one's feelings about a book sometimes evolve with the considering of it - I can definitely relate! Sounds like a fantastic read. It was 'great' while I was reading it, but seriously, in trying to express what I liked about it, I realized I was totally in love. You had me at, "When I started this review, it was 'liked a good deal, maybe loved', but upon finishing, I have to say, it is totally loved. Likely top ten of 2012." And the you had me at "I'm reminded of...: Ann Patchett." And then you had me at, "Dark, pretty, sad, horrifying, poignant." And then you had me at, "This is a book in that made me forget I was reading and I resented every interruption or pause." Seriously, I could go on and on to the end of your review. CLEARLY this is a book for me. Thanks for being on the tour! Trish -- get this book stat. I can't think of enough adjectives. I haven't stopped talking about this book and won't. I've never read Erdrich, but I need to remedy that. If I had to choose between this one and Shadow Tag, which would you choose? Or would you go another way completely? This one reminded me of a darker To Kill a Mockingbird in that there is violent crime and great injustice, and the story is set so squarely in the mind of this 12-year old. It felt 'easier' to me to read/absorb than Shadow Tag which I've avoided because of the sheer misery potential. Fantastic review! I want to read this so much. I don't know yet if I really like Erdrich as an author - I found the other book I read by her very well-written but thoroughly depressing. This one seems like it might have a FEW more light moments? 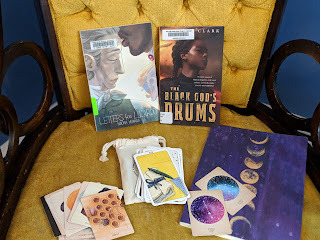 Yay for a giveaway, too! i am reading this as we speak and am just so in love. 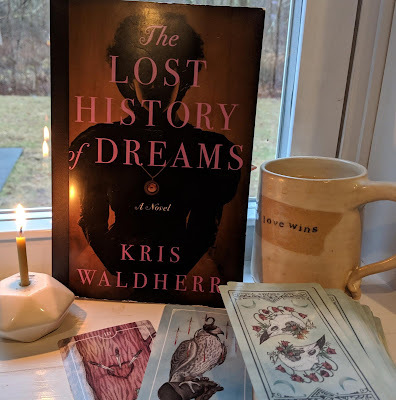 i love when you and i are reading the same things :) hope you are having a lovely week and are on to the next great book! The process of writing a review often helps me clarify my feelings about a book. I'm glad that in this case writing the review made you realize how much you really loved this book! You've got me captivated by this review until you mentioned Ann Patchett. I have a love-hate relationship with her writing. It has been a while since I read one of Louise Erdrich's books, but the past two years have been personally difficult. One of my favorite genres is literary thrillers, and the first sentence is one that would tug you into this book. Whether I win or not, I will read this book! Thanks, Audra.